The Vesta Pro 600 uninterruptible power supply (UPS) is designed with the small home office and/or home theater in mind. It is compatible with any hardware you are looking to protect from computers like Windows/Linux PCs or Apple/Macs to DVRs, Blu-ray players, TVs, cable boxes, and so much more. In the event of a power outage, you will have enough backup battery to save important files and properly shut down your system/equipment. 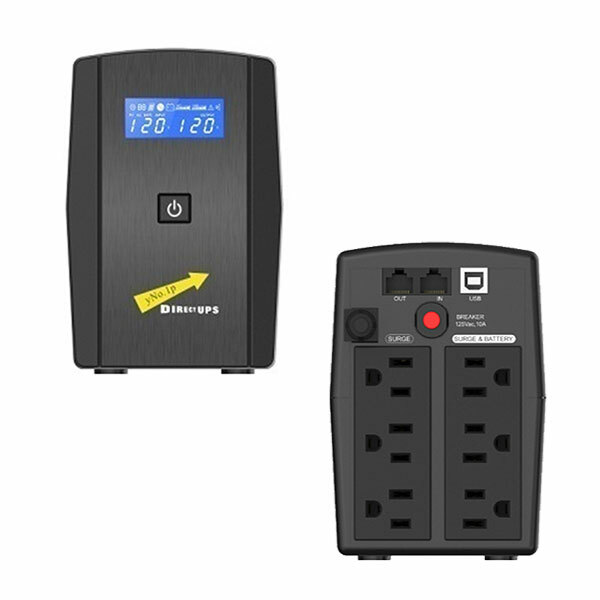 Not only do you receive protection from an initial spike/outage, but your devices are also protected should the power surge when it is restored by your electric company. A warranty card is included in the box with purchase and is covered by the manufacturer. 1 year coverage on the batteries. 2 years coverage on remaining parts.